The Bell Jar is the only novel written by the poet Sylvia Plath. Published one month before Plath killed herself at age 30, the story follows a young woman, Esther Greenwood, through a mental breakdown, suicide attempt, and electric shock therapy in a hospital. The novel and the spate of brilliant poems Plath wrote right before her death still reverberate today, 52 years later. 1. Plath wanted to write a best seller like The Snake Pit. 2. The story is based on Plath’s “guest editorship” at Mademoiselle. The first half of the novel follows Esther though a summer internship at Ladies' Day magazine in New York. Plath won a “guest editorship” at Mademoiselle in 1953. (Other past guest editors included Joan Didion and Ann Beattie.) The experiences in the novel are based on real events and people. For example, the character Philomena Guinea was based on Plath’s literary patron, Olive Higgins Prouty. The scene in which Esther eats an entire bowl of caviar by herself was a real thing Plath did. 3. Like Plath, Esther tries to kill herself and is sent to a hospital. After returning from New York, Esther discovers that she didn’t get into a short story class, which accelerates her depression. Likewise, Plath was rejected from Frank O’Connor’s short story class at Harvard. Esther’s suicide attempt by taking sleeping pills and hiding in a crawlspace also mirrors Plath’s actions, down to the note she left her mother and the cut on her face. Just like Plath, Esther is found after three days and taken to a mental hospital. Plath was taken to McLean Hospital in Massachusetts, which has also treated Robert Lowell, Anne Sexton, David Foster Wallace, James Taylor, and Ray Charles, among others. Plath repeatedly tried to write about her mental breakdown but found that she was hopelessly blocked on the subject. Then, in 1961, when her poetry collection The Colossus and Other Poems was accepted for publication, the block suddenly disappeared. After “a night of inspiration,” she started working on the novel every morning at “a great pace,” according to her husband Ted Hughes. She completed a draft in 70 days. 5. The book was rejected by American publishers. When Plath received a $2,080 novel-writing fellowship associated with publishers Harper & Row, she must have thought that publication was a sure thing. But Harper & Row rejected The Bell Jar, calling it "disappointing, juvenile and overwrought." While British publisher William Heinemann accepted the book, Plath still had trouble finding an American publisher. “We didn’t feel that you had managed to use your materials successfully in a novelistic way,” one editor wrote. 6. The Bell Jar was published under the pseudonym Victoria Lucas. Plath used a pseudonym for two reasons: one was to protect the people she fictionalized in the book—not only would it embarrass her mother, but her publisher worried about libel suits. She also wanted to separate her serious literary reputation from her “potboiler,” as well as protect the book from being judged as the work of a poet. Originally, Esther was also named Victoria Lucas, but Plath was persuaded by her editor to find an alternative. She agreed, and changed the character’s name to Esther Greenwood. 7. The Bell Jar didn’t get the attention Plath was expecting. 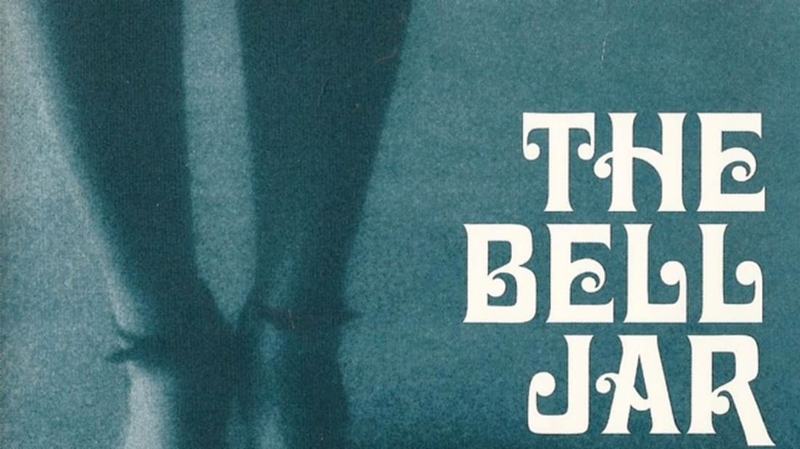 When The Bell Jar was published in January 1963, it didn’t seem likely to become a literary sensation. Reviews weren't terrible—some were even positive—but they were all, for the most part, indifferent. As Anne Stevenson wrote in the biography Bitter Fame, Victoria Lucas “would be patted on the head for good writing, scolded for weak plotting, and passed over.” This disappointment occurred at the lowest period of Plath's life. She died less than a month later. 8. Plath’s mother didn’t want the book to come out in the U.S. The Bell Jar was published under Plath’s name in England in 1966, but it didn’t come out in the United States until 1971. Plath’s mother, Aurelia, didn’t want people she knew to recognize themselves in the book, believing it showed "the basest ingratitude" to Plath’s friends and family. Hughes finally published The Bell Jar in the U.S. because he wanted money to buy a country house—much to Aurelia’s displeasure. 9. The book was made into a movie in 1979. For better or worse, here it is. 10. It’s Plath’s only novel … or is it? When Plath died, she was writing another novel titled, at different points, Double Exposure or Doubletake, about the breakdown of her marriage to Hughes. Plath told friends it was “better than The Bell Jar” and made her “laugh and laugh, and if I can laugh now it must be hellishly funny stuff.” Whether she finished the novel is unclear. Originally Hughes said the book was 130 pages, but he later revised that number to 60 or 70 pages. In any case, Hughes claims the novel disappeared in 1970. Here’s hoping it someday resurfaces.